A St. Louis police officer who gunned down a robbery suspect in January won't face charges, Circuit Attorney Jennifer Joyce announced today. 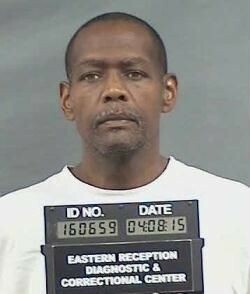 Crayton West, 52, was killed by police following an armed robbery in January. The officer, identified by police as Sgt. Michael Pratt, acted in self-defense when he shot Crayton West in the doorway of a south city KFC restaurant, prosecutors concluded. "In a case like this, where a person loses his life, there are no winners," Joyce said in a statement. "A family lost someone very important to them, and I'm so sorry for their loss. I am also thankful that more people were not injured during the course of this incident." West, 52, was armed with a .38-caliber Smith & Wesson on January 17 when he held up the South Grand fast food restaurant. Surveillance video released by prosecutors shows West pulling a gun on a cashier, leaning over the counter and scooping money out of a cash register. A drive-thru customer watched the robbery unfold and sped off, alerting Pratt who was posted across the street, prosecutors say. The officer told investigators he then parked next to restaurant and started to head for the door. West is seen in the video going around the counter to pick up money that had spilled onto the floor before he turns and walks towards the exit. Another camera shows him start to go outside and then dart back in. Pratt later told investigators he believes West went back in because he spotted his police cruiser. Witnesses claimed West tucked the Smith & Wesson into his pants before going back to the exit. Confronted by Sgt. Pratt, West claimed there was a robber inside and gestured to other customers, witnesses said. Convinced West was the stickup man, Pratt told him to go back inside. The video is grainy, but the officer and witnesses both say West began pulling the gun out of his pants. "Don't do it," Pratt said, according to witnesses. "Don't do it." Pratt, a 13-year veteran, claims West ignored his orders and he was forced to shoot him. He fired twice, hitting him once on the right side of his chest and once on the left side of his back. Pratt called for an ambulance, but West didn't survive. Joyce released her report on the shooting today along with summaries of witness statements and two surveillance videos that show the robbery and final confrontation. Police Chief Sam Dotson said he was "confident" that prosecutors' decision not to file charges against Pratt was the result of a thorough investigation. 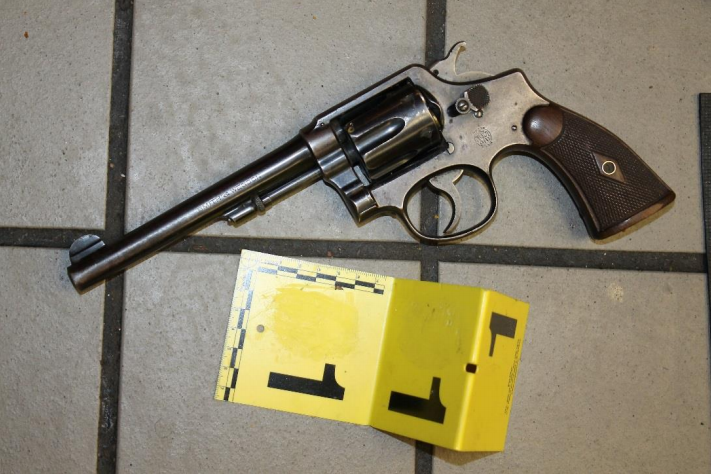 Crayton West was pulling this .38-caliber Smith & Wesson out of his pants when he was shot dead by police, authorities say.